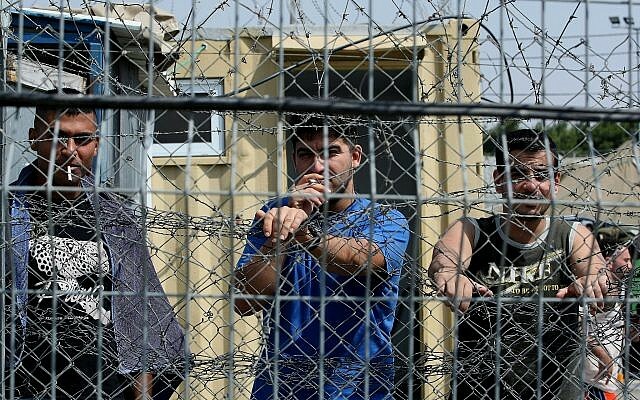 Some 150 Palestinian security prisoners held in Israel’s Rimon and Ketziot prisons launched a hunger strike on Monday after talks to avert a strike collapsed, according to the Palestinian Authority official Wafa news outlet. 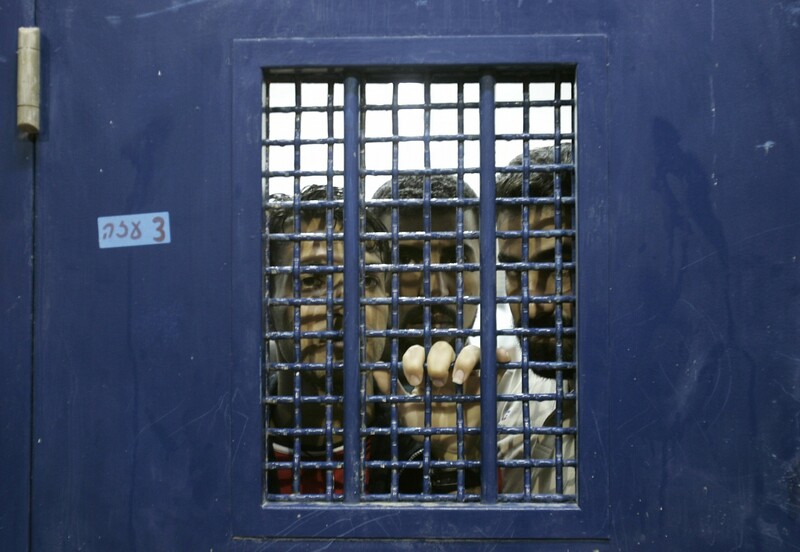 The PLO’s Prisoners Affairs Commission said in a statement that talks over the past two days have failed, and that an initial group of 150 prisoners would begin going without food or water from Monday, according to Wafa. The strike comes to protest the recent installation of cellphone jamming devices in the prison wards to stop prisoners from making calls on smuggled phones. Israel has also refused to allow family visits from Hamas-ruled Gaza. 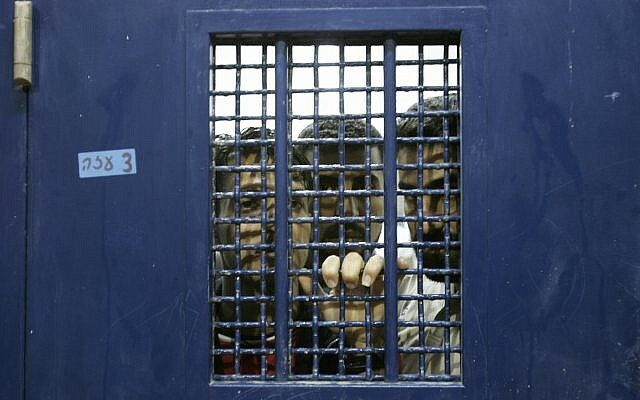 A day earlier, on Sunday, prisoners called off a planned mass hunger strike after reporting progress in negotiations with prison officials, according to a Palestinian Authority official. 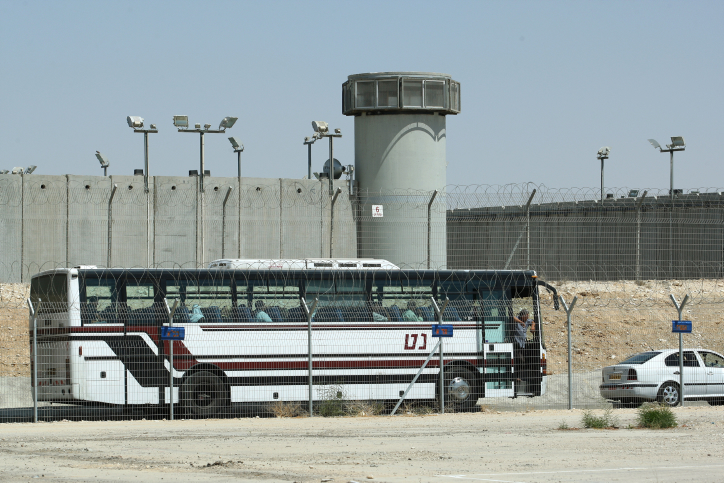 But on Monday, the Prisoners Affairs Commission reported that talks had reached a “dead end,” according to Wafa, purportedly because of the “stubbornness” of the Israel Prisons Service. Qadri Abu Bakr, the chairman of the Prisoners Affairs Commission, was cited by Wafa as saying IPS officials seemed to be under political pressure amid Israel’s elections, which will take place Tuesday. Last week, Prisoners Affairs Commission spokesman Hassan Abd Rabbo told The Times of Israel that Palestinian security prisoners would launch a hunger strike on April 7, to protest their incarceration conditions — particularly the recent Israeli measures designed to restrict cellphone usage by the prisoners, including the installation of jamming systems. Abd Rabbo said that inmates affiliated with Hamas, Fatah, and other Palestinian factions would launch the strike at Ketziot Prison, but that it would gradually be extended to include Palestinian prisoners in other Israeli jails. The row over incarceration conditions has recently sparked violence. Twice last month, Hamas prisoners violently attacked guards at Ketziot Prison, with one guard sustaining serious injuries from a stab wound to his neck on March 3. 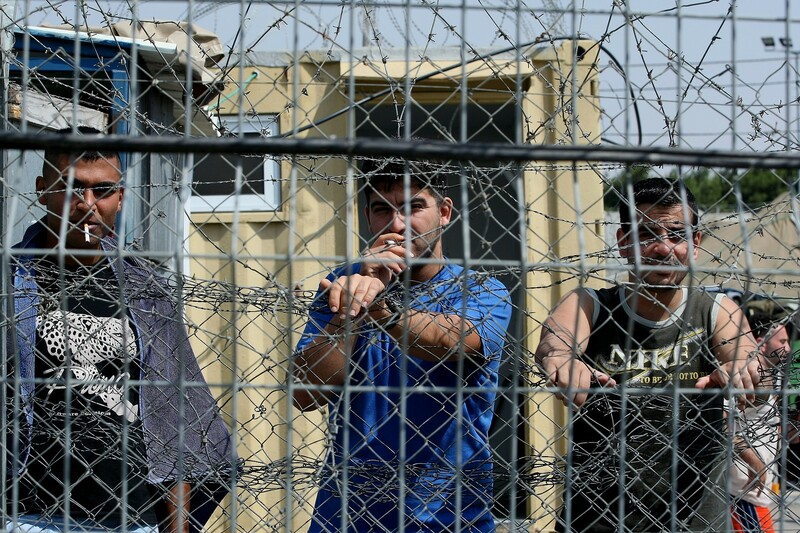 Reports in Hebrew-language media said that in the second attack, inmates used shanks to stab guards, as the prisoners were being moved between cells, sparking a riot in the prison. The Palestinian Prisoners Club has said that riots at Ketziot sparked by the crackdown have injured over 120 Palestinian inmates since February. According to the group, Israel Prisons Service officials have completely isolated several prisoners involved in the riot in “very dire conditions,” stripping them of their personal belongings, family visitation rights and interactions with other prisoners. The IPS said that 11 prisoners were injured and hospitalized after security forces quelled the violent March 3 riot. 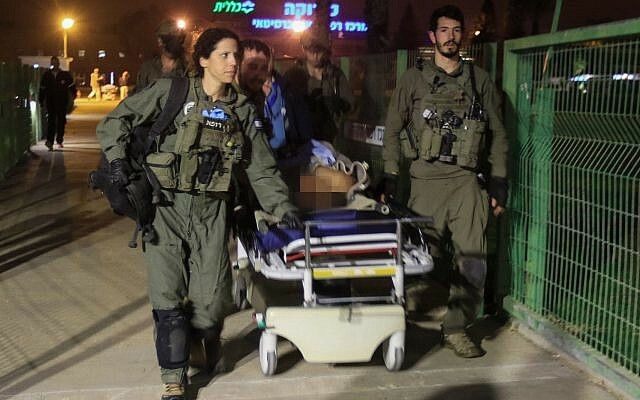 Seven of the prisoners were airlifted to hospitals by the IDF, the Haaretz daily reported at the time. 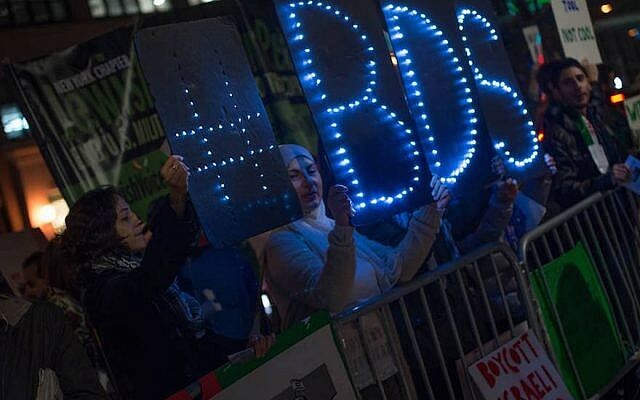 There has been concern that a mass hunger strike could increase military tensions with the Hamas terror group along the Gaza border, at a time when Egyptian mediators are seeking to secure a long-term ceasefire between the sides. On Saturday, Public Security Minister Gilad Erdan, who oversees the prisons service, denied that the hunger strike could set off mass protests by Palestinians elsewhere, and denied any “deterioration” in the prisoners’ living conditions. Speaking at a cultural event in Kfar Saba, he said it was “a crazy thing that terrorists in prison can be in contact with terror groups” using illicit cellphones. A Prisons Service official said over the weekend that 14 separate incidents of illicit phone calls used to instigate terror attacks were identified in recent months. Erdan said the prisoners were using the threat of mass hospitalization as a result of the hunger strike to extract concessions from Israel, and said he did not intend to “surrender” to their demands. On Sunday, the IPS said it would respond “forcefully and with determination” to ensure that hunger-strikers were not successful in obtaining their demands, and that it had beefed up security in a bid to prevent violent clashes.